Click here to visit the Frito Lays site and vote for your favorite new flavor of Lay’s. For doing so, you’ll be entered into their sweepstakes. They’ll be choosing 50 winners a day of a free $20 Walgreens gift card, for a grand total of 1,750 winners. 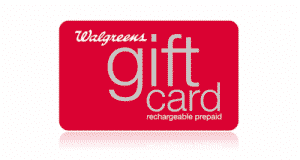 1 lucky grand prize winner will score a $500 Walgreens gift card. You can enter daily through March 30th. Good luck!